Pete owns and runs business development for a broadcast company that owns a CBS and Fox television station in Michigan. Additionally, Pete owns (with others) a mobile events company that does talent buying, production and event development (brands include Microbrew Music Festival and Symphony 2.0). Pete also owns, manages and operates mobile home parks, RV parks and commercial real estate. 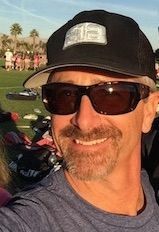 An avid skier and biker with an addiction to fly fishing, Pete spends most of his time coaching or taking his kids to ski races, lacrosse tournaments and/or gymnastic meets.